Congratulations to tour winners Edgar G., Kim H., Janie M., Jana L., and Debra G. as well as to host winner Sharing Links and Wisdom. 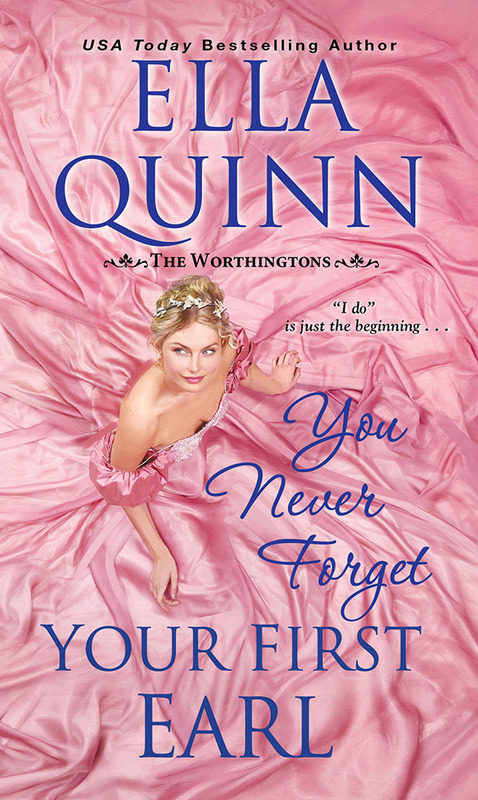 Goddess Fish Promotions is organizing a Virtual Book Blast Tour for You Never Forget Your First Earl by Ella Quinn, a Regency Historical Romance available May 20, 2018 from Kensington Publishing. The Book Blast Tour will take place on Tuesday, May 29, 2018. This tour will not include interviews or guest blogs; however, a blurb, excerpt and author bio will be provided to every host for inclusion on their blog. A PDF, mobi or ePub copy of the book is available via NetGalley for review. Ella will be awarding a signed copy of the book (International Giveaway) to 5 randomly drawn winners via rafflecopter during the tour, and a $25 Amazon or B/N GC to a randomly drawn host.